Smart job advertising, optimized candidate attraction with JobAdX Exchange. Empowering employers to advertise jobs more dynamically using the power of Real Time Job Delivery. 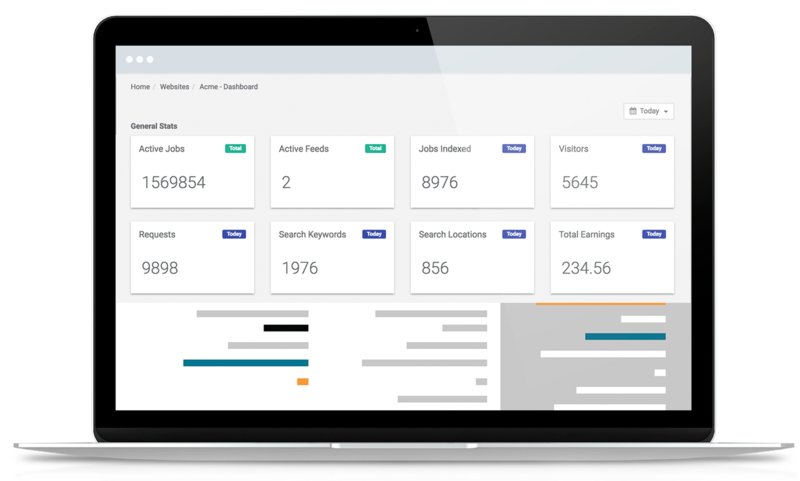 Data-driven ad targeting attracts more relevant candidates based on search preferences, click behavior, industry, and more! Deliver your jobs to prominent, first- page ad units every time and ensure consistent visbility throughout your campaign. Extend your reach and attract a more diverse audience through our network of over 100 job sites and publisher partners. Built-in quality controls like click- capping & apply-capping reduce duplicate applictions and promote unique impressions. Maximize your budget with our CPC or CPA models and monitor your spend with real-time reporting. 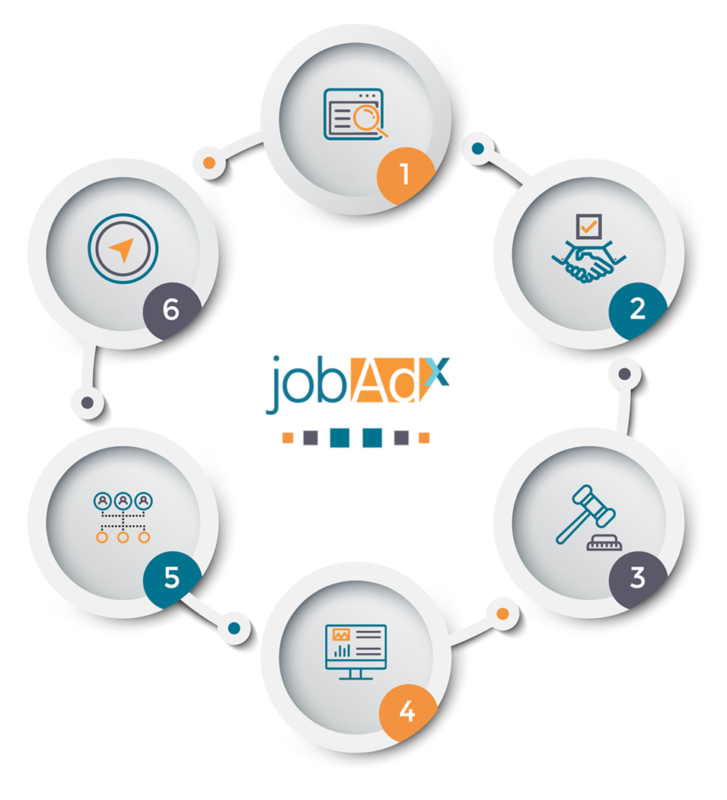 JobAdX empowers employers to advertise their jobs same way brands have advertised products for decades. Audience segmentation, self-optimized targeting, and real-time analytics ensure that you get the best results effortlessly. Our powerful technology runs discretely behind the scenes in a matter of milliseconds so all your job seeker sees are better results. Job advertising doesn’t need to be complicated. Our mission at JobAdX is to take the ‘process’ out of job advertising. That’s why we’ve built a platform that’s easy to use for recruiting teams in companies of any size. We have dedicated ad units on our publisher sites, ensuring that your ad doesn’t slip further into search results over time. Our AI algorithms do all the work automating your bidding and targeting candidates, so you don’t have to. Reach new job seekers and a diverse audience by posting to over 100 job sites at once. Built-in quality controls like click-capping & apply-capping reduce duplicate applictions and promote unique impressions. Choose what time and date you want your job ads to run so you have total control over your campaign schedule. Track campaign performance in real time with our advanced analytics. Have the data to decide where & when to increase spend. Set budet caps for the month or per campaign. Increase your CPCs to stay competitive with our guidance. The best part of our platform is that it’s risk-free to try. All we need is an XML feed to get started and you only pay when your ads perform. Are you a solutions provider interested in becoming an integration partner? Let’s talk!